The University of Illinois Springfield’s popular Friday Night Star Parties will resume in March. Those dates include: March 17, 24 and 31. 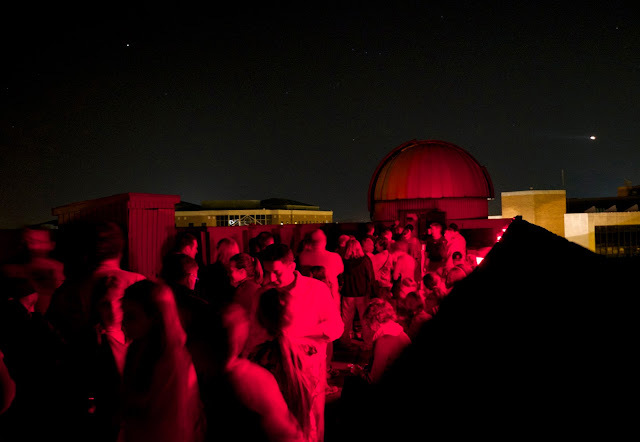 Friday Night Star Parties are held from 8 to 10 p.m., weather permitting, at the UIS observatory on the roof of Brookens Library. Star Parties are hosted by John Martin, UIS associate professor of astronomy/physics. The observatory’s telescopes will be used to view a number of celestial objects including Mars, the Moon, the Great Nebula in Orion and other double stars and star clusters when visible. WHAT: The University of Illinois Springfield Engaged Citizenship Common Experience (ECCE) Speaker Series will explore “The U.S. 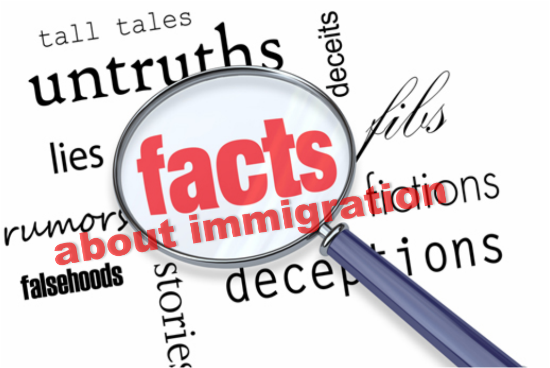 Immigrant Population: Myths vs. Facts” during a panel discussion. WHEN: Tuesday, March 7, 2017, at 4 p.m. DETAILS: Immigration has become a hotly contested political issue in the United States. The goal of this panel discussion is to dispel the myths associated with immigration and give the audience a clearer understanding of the subject. The panel will explore the history of immigration to the United States and immigration policy. Participants will learn about the impact of immigrant workers on the U.S. economy, consumer prices, and associated human rights issues. The panel will also discuss how American culture has been influenced by immigrant populations. Panelists include Adriana Crocker, UIS associate professor of political science; Anette Sikka, UIS assistant professor of legal studies and Yona Stamatis, UIS assistant professor of ethnomusicology. This event is co-sponsored by the UIS Diversity Center and Gamma Phi Omega International Sorority, Inc. For a list of other upcoming ECCE Speaker Series events, visit www.uis.edu/speakerseries/. All events are free and open to the public. WHEN: Friday, February 24, 2017 from 4 p.m. to 12 a.m. DETAILS: Participants can sign up for the Dance Marathon as an individual or as part of a team with a fundraising goal. Anyone is welcome to participate and can register online at www.dmuis.org or at the event. Participants pay a $5 registration fee and are asked to fundraise at least $20 by February 24. 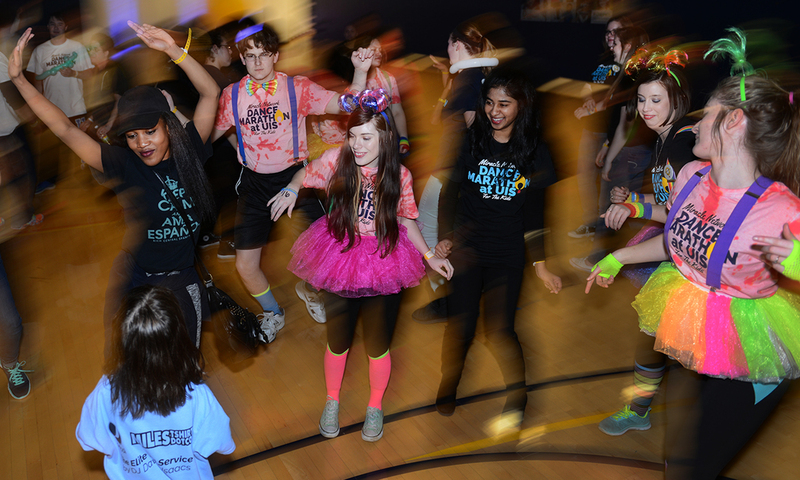 The Dance Marathon will feature a DJ, a variety of performances by different organizations and food coordinating with the themes “Birthday”, “Luau”, “Mardi Gras” and “Olympics”. UIS students have been raising money for the campaign throughout the year. Last year, they raised $6,000 for the Children’s Miracle Network. The University of Illinois Springfield Visual Arts Gallery presents “Safe Harbor: Work by Diaz Lewis”. 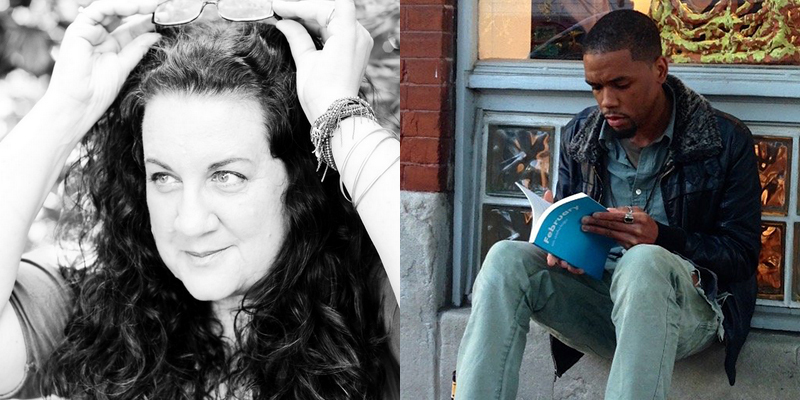 Diaz Lewis - the collaborative duo comprised of Alejandro Figueredo Diaz-Perera and Cara Megan Lewis - creates art that address themes of immigration and prompts social change. The exhibit, featuring their latest project, “34,000 Pillows”, will open with a reception on Thursday, March 2 and run through Thursday, April 13. 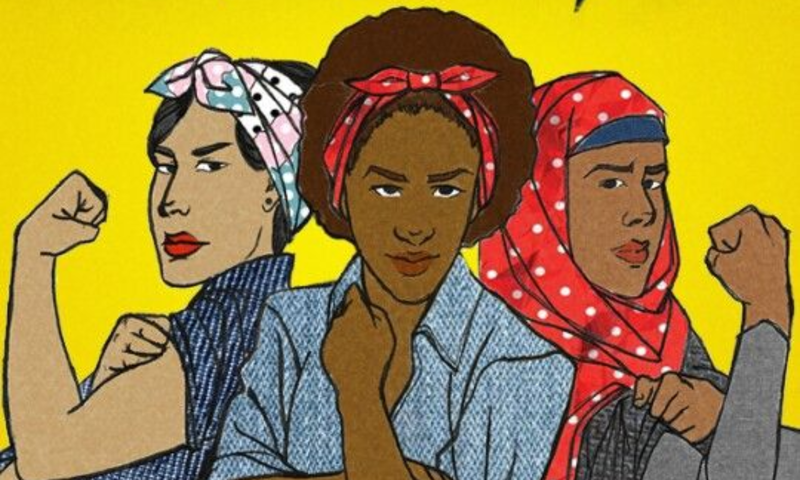 In conjunction with their exhibition reception, Diaz Lewis will present a UIS Engaged Citizen Common Experience (ECCE) lecture titled “Diaz Lewis: Artivism and Immigration Reform” on March 2 from 5:30 to 6:30 p.m. in Brookens Auditorium. Their talk will center on “34,000 Pillows” which was developed in response to the Congressional “detention-bed mandate,” a statutory quota that enforces Immigration and Customs Enforcement (ICE) to detain at least 34,000 immigrants every day in over 250 private prisons and county jails across the country. 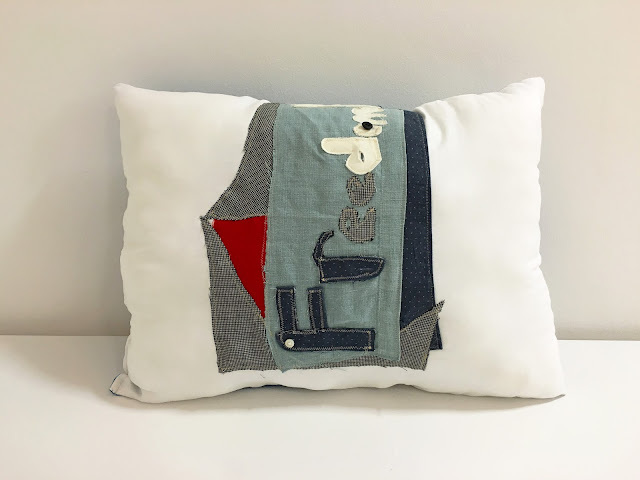 To materialize the human impact of the mandate, Diaz Lewis is creating a pillow to represent every designated bed and each immigrant detained as a result of the mandate. The pillows are comprised of articles of clothing donated by undocumented immigrants, prior detainees, and their allies. In an attempt to symbolically “buy back” the 34,000 beds for one single day, 100% of the funds raised from sales of the pillows are going towards alternatives to the bed mandate, and organizations whose efforts restore human dignity such as Human Rights Watch and Interfaith Committee for Detained Immigrants. “Safe Harbor: Work by Diaz Lewis” prompts participation from our campus community and beyond. “34,000 Pillows” is an open invitation to anyone who wants to contribute to the process by creating a pillow design, donating clothing, deconstructing clothing, or purchasing a pillow. Since the project’s inception in early 2016, over 300 students and individuals have participated in the project by bringing donations of materials and participating in the creation of pillow designs. A design workstation will be located directly outside of the UIS Visual Arts Gallery throughout the exhibition run and is open to the public. An ever-growing pile of pillows, the art installation translates a human experience that statistics alone cannot. Diaz Lewis met in 2012 and worked across the divide between Cuba and the U.S. Now based in Los Angeles, their practice as artists and activists is fueled by deconstructing social processes and the symbols and politics behind them. 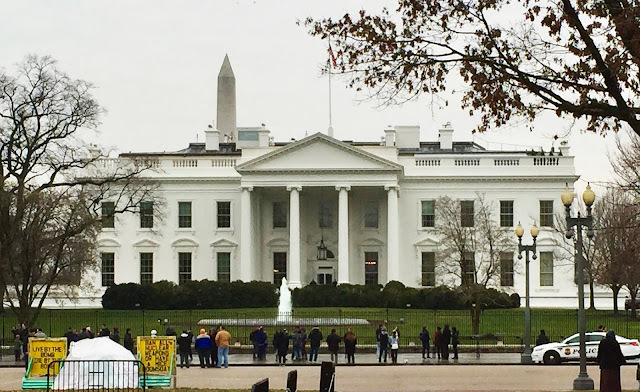 In the selection of topics such as rhetoric, immigration or property rights, they dissect relevant themes from two distinct and often opposing angles. Recent exhibitions include “Home Land Security” For Site Foundation, San Francisco (2016); “Soul Asylum” Weinberg Newton Gallery, Chicago (2016); “A Dream Deferred” Aspect/Ratio, Chicago (2015); “Cul De Sac” Mission Gallery, Chicago (2015); and “The Other’s Voice” Rapid Pulse International Performance Art Festival, Chicago (2014). Diaz Lewis were most recently artists-in-residence at the Chicago Cultural Center at the end of 2016 with the support of the Joyce Foundation. WHAT: The University of Illinois Springfield Engaged Citizenship Common Experience (ECCE) Speaker Series presents “Black Lives Matter - Through the Prism of Fredrick Douglass”. 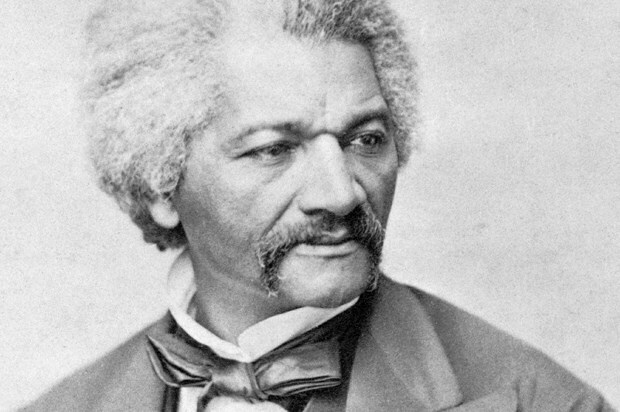 The panel discussion will explore the Black Lives Matter Movement through the prism of Douglass' “West India Emancipation” speech of 1857. WHEN: Tuesday, February 21, 2017, at 6 p.m. DETAILS: The event, as part of Black History Month, will highlight societal and legal institutional challenges that are faced today by African Americans. By illustrating their plight, this event hopes to build awareness to the struggles faced by at-risk populations in general, and African Americans specifically. Panelists include Dorine Brand, UIS assistant professor of public health; Pastor Jerry Doss, lead pastor of Abundant Faith Christian Center in Springfield; Ty Dooley, UIS assistant professor of public administration and director of the Master of Public Administration (MPA) Program; Tess Dooley, UIS visiting instructor of legal studies; and Tiffani Saunders, UIS instructor of sociology and African-American studies. This event is co-sponsored by the UIS Diversity Center and the UIS Departments of Legal Studies, African-American Studies and Public Health. WHAT: The University of Illinois Springfield will host a town hall meeting exploring the implication of President Donald Trump’s executive order on immigration and refugees. The event is free and open to the public. WHEN: Tuesday, February 7, 2017, from 5 to 6 p.m. DETAILS: This town hall meeting will offer an opportunity for students and community members to learn more about how Trump’s recent executive order on immigration and refugees may affect themselves, their friends, and/or their families. Individual legal advice will not be given, but audience members will have the opportunity to ask questions. Panelists will include Anette Sikka, UIS assistant professor of legal studies; Deborah Anthony, UIS associate professor of legal studies; Lauren Myerscough-Mueller; UIS Illinois Innocence Project staff attorney; and Jonathan GoldbergBelle, UIS director of International Programs. The event is sponsored by the UIS Diversity Center, Legal Studies Department and the Division of Student Affairs. For more information, contact Sophia Gehlhausen, UIS Diversity Center program and outreach coordinator, at 217/206-6333 or sophia@uis.edu. The University of Illinois Springfield, Junior League of Springfield, and the United Way of Central Illinois are seeking nominations for the 9th annual Good as Gold volunteer awards. The awards ceremony will be held on April 24, 2017, at 5:30 p.m. in the Sangamon Auditorium Lobby at UIS. Individuals and organizations can be nominated in several categories including Heart of Gold, Youth Volunteer, Organization of the Year and Distinguished Volunteer. The ceremony will also recognize UIS and/or LLCC faculty/staff members and students who have demonstrated an exceptional commitment to service. Businesses may apply for the Good as Gold Business Honor Roll. The honor roll recognizes businesses that have given back to our community thought direct service and charitable giving. Over the past eight years, the ceremony has recognized hundreds of volunteers for freely giving their time and talents to make Springfield a better place to live and thrive. 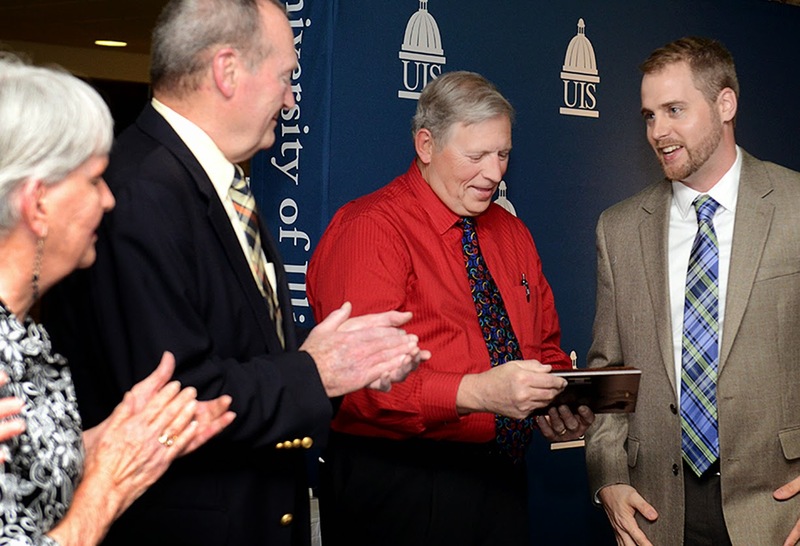 Event details, descriptions of the awards categories, and the online nomination forms can be found at www.uis.edu/volunteer/communitypartners/goodasgold/. The nomination deadline is March 1, 2017. For questions please contact, Mark Dochterman, director of the UIS Volunteer & Civic Engagement Center, at mdoch2@uis.edu or 217/206-8448. WHAT: The career centers at the University of Illinois Springfield and Lincoln Land Community College are excited to announce the 2017 Career Connections Expo. Community members, students and alumni from the two institutions and other colleges are invited to attend the free event. WHEN: Thursday, February 16, 2017, from 11:30 a.m. to 2:30 p.m. Representatives from more than 100 employers are expected to be on hand. 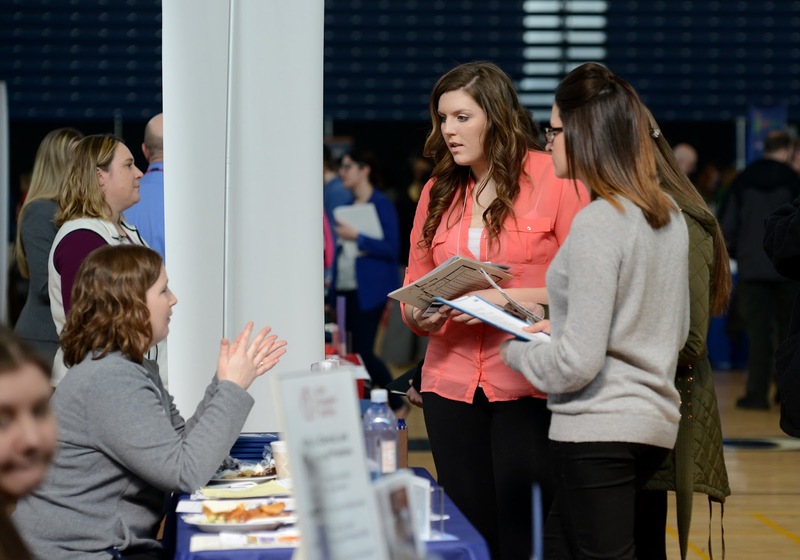 The event has an average attendance of more than 300 students, alumni, and community members. The expo is sponsored by MSF&W Consulting, Inc., OSF Healthcare, College Pro, Wise Equation Solutions Inc., and NPR Illinois (WUIS).